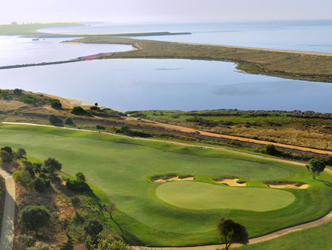 In a setting of expansive panoramic views across the Bay of Lagos, Robert Trent Jones II has fashioned Europe’s next great golf course, Palmares Golf Resort. The charge given to Robert Trent Jones II was to craft a 27-hole golf course capable of showcasing this extraordinary environment to its fullest. The result is a breath-taking golf course that provides an engaging and fascinating experience. 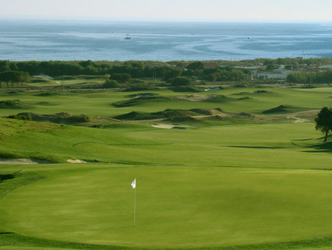 While the physical beauty of Palmares’ setting is prominent, the golf course itself is challenging. Robert Trent Jones II designed the golf course with the highest level of international tournament golf in mind as well as a pleasurable golf experience for members and tourists alike. 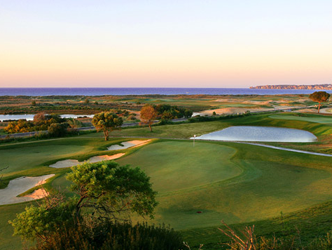 The 3 x nine hole courses are Alvor Course, The Lagos Course and The Praia Course.